The biggest retailer in Indian states Andhra Pradesh and Telangana BigCMobile started taking pre-orders for the Nokia 5. I’m not familiar how pre-orders work at BigC (because it can’t be done via Internet), so I guess it can be done in stores or maybe via landlines. BigC offers a laptop bag if you pre-order the 5. 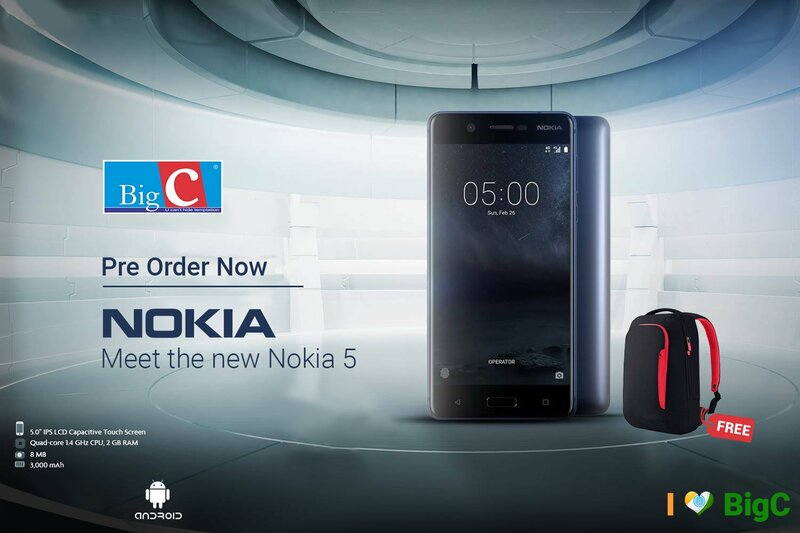 New #Nokia5 has been exclusively launched at #BigC ! Other HMD phones, like Nokia 3310 and Nokia are already available in India, offline and online. Nokia 6’s flash sale will start on the 23rd of August, and already over a million people registered to participate in the flash sale.